San Diego, California is the second largest city in Southern California. San Diego is a sprawling gem of a city that draws tourists who are seeking turquoise seas and white beaches. The city of San Diego also attracts high tech industry, medical research, and is the home to the bulk of the U.S. Pacific Naval Fleet. Green Clean junk removal services are proud to service the San Diego area. We provide junk removal, rubbish removal, and trash removal for both the city’s businesses and residents. Green Clean junk removal services in San Diego offer construction debris hauling, construction debris removal, and construction debris disposal for area contractors and do-it-yourselfers. Construction debris hauling is strictly regulated throughout San Diego County. Green Clean junk removal is licensed to haul and remove construction debris from any type of work site. We save you time by eliminating trips to dump sites and recycling facilities. 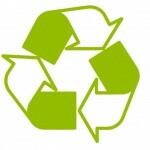 Green Clean junk removal in San Diego services can also help with your office clean out. About 50% of all San Diego businesses relocate every two years. An office clean out service takes the headache out of cleaning an office. If you need your office cleaned out in preparation for a move call Green Clean junk removal. Our trained junk removal experts clean out your office, and remove the junk that has accumulated in supply closets and offices over the years. Green Clean junk removal experts can also help with the disposal and recycling of old computers, monitors, printers, copiers, and other office equipment. Green Clean junk removal services also extend the same great rubbish removal service to the residents of San Diego. Green Clean junk removal experts specialize in residential garage clean out, front yard and backyard clean out services, and household junk removal. Green Clean junk removal services in San Diego can get rid of junk that you don’t need hanging around your home in a matter of hours. Green Clean Junk Removal San Diego!